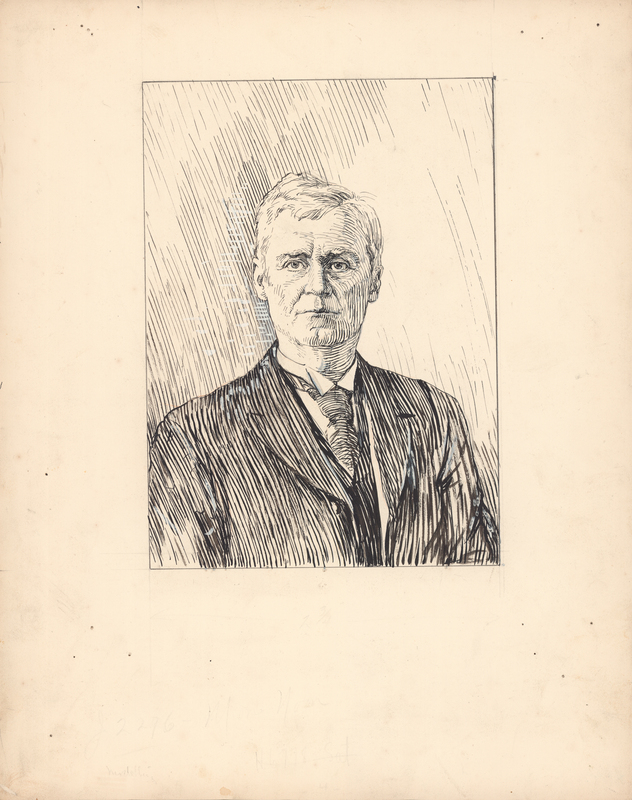 Item is an Arthur Lismer portrait of Richard Weldon rendered in pen and ink on illustration board; the top right corner of the reverse side contains the date-received stamp from the printer's engraving department—Mar 27 1920—and there are faint marks of erased notes on the front. Also within the folder is a label originally taped to the drawing that gives its title and "No 18—", probably referring to its suggested placement in the order of illustrations that appear in One hundred years of Dalhousie, 1818–1918 (1920), for which it was commissioned. The image was reproduced in D.C. Harvey, An introduction to the history of Dalhousie University (1938).